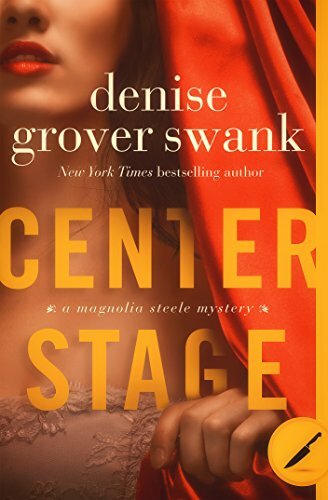 First book in the four book USA Today bestselling Magnolia Steele Mystery series by the New York Times and USA Today bestselling author, Denise Grover Swank. Ten years ago, Magnolia Steele fled Franklin, Tennessee after an incident that left her with hazy memories and a horror of the place where she had been born and bred. Though her abrupt departure destroyed most of her treasured relationships, she vowed never to return . . . until she has no choice. When Magnolia’s breakout acting role in a Broadway musical ends in disgrace, there’s only one place she can go. She finds herself on her momma’s porch, suitcase in hand. Drama follows Magnolia around like a long lost friend. She reluctantly agrees to help her momma’s catering company at a party for a country music star, only to find herself face-to-face with a sleazy music agent from her past. After a very public spat, Magnolia not only finds him dead but herself center stage in the police’s investigation. Now she must scramble to prove her innocence, relying on the help of acquaintances old and new. But the longer Magnolia stays in Franklin, the more she remembers about the big bad incident that chased her away. The past might not be finished with her yet, and what she doesn’t remember could be her biggest danger.